To systematically review the literature to characterize interventions with potential to improve outcomes for minority patients with asthma. Medline, PsycINFO, CINAHL, Cochrane Trial Databases, expert review, reference review, meeting abstracts. Medical Subject Heading (MeSH) terms related to asthma were combined with terms to identify intervention studies focused on minority populations. Inclusion criteria: adult population; intervention studies with majority of non-White participants. Study quality was assessed using Downs and Black (DB) checklists. We examined heterogeneity of studies through comparing study population, study design, intervention characteristics, and outcomes. Twenty-four articles met inclusion criteria. Mean quality score was 21.0. Study populations targeted primarily African American (n = 14), followed by Latino/a (n = 4), Asian Americans (n = 1), or a combination of the above (n = 5). The most commonly reported post-intervention outcome was use of health care resources, followed by symptom control and self-management skills. The most common intervention-type studied was patient education. Although less-than half were culturally tailored, language-appropriate education appeared particularly successful. Several system–level interventions focused on specialty clinics with promising findings, although health disparities collaboratives did not have similarly promising results. Publication bias may limit our findings; we were unable to perform a meta-analysis limiting the review’s quantitative evaluation. Overall, education delivered by health care professionals appeared effective in improving outcomes for minority patients with asthma. Few were culturally tailored and one included a comparison group, limiting the conclusions that can be drawn from cultural tailoring. System-redesign showed great promise, particularly the use of team-based specialty clinics and long-term follow-up after acute care visits. Future research should evaluate the role of tailoring educational strategies, focus on patient-centered education, and incorporate outpatient follow-up and/or a team-based approach. Despite increasing national efforts over several decades, health disparities are widening for numerous illnesses and chronic diseases. The Healthy People initiative began in 1979 with the Surgeon General’s Report, followed by Healthy People 2000 and 2010, with Healthy People 2020 currently under development.1 Although the goal of Healthy People 2010 was to challenge “individuals, communities, and professionals…to take specific steps to ensure that good health, as well as long life, are enjoyed by all,”1 this need has not been met for minority patients with asthma in the United States (US). Because of the multitude of factors that may play a role in perpetuating health disparities for minority patients with asthma, it is important to critically evaluate the scope and target of interventions that aim to improve care for this population. Although hundreds of studies have evaluated individual components of asthma management including educational and system-level approaches to improving health outcomes related to asthma, there is a dearth of studies that are culturally tailored, or that even include a majority of non-White study participants. Through a systematic review of what limited literature exists, clinicians, health care organizations, communities, patients, and policymakers can understand which interventions are likely to be successful in addressing and decreasing health disparities and will identify what gaps remain for future work in this area. Therefore, the aim of this review is to systematically review the literature to answer the following question: what interventions work best to improve outcomes for minority adult Americans with asthma? In consultation with a biomedical librarian, we conducted an electronic search of the English literature in Medline from 1950 to Fall 2010 by exploding Medical Subject Heading (MeSH) terms related to asthma (e.g., respiratory inhalers, anti-asthmatic agents) combined with terms to identify studies focused on minority populations (e.g. MeSH “Minority Groups” and keyword “dispari*mp”) and with terms to identify intervention studies. [Text Box 1] Please refer to the technical web appendix in the introductory paper by Chin et al. for recommended search strategies for interventions to reduce racial and ethnic disparities in health care.11 We conducted parallel searches in PsycINFO and CINAHL. To identify additional studies that may not have been included in these search results, we reviewed the Cochrane database of interventions and all references from included studies. Finally, an expert reviewer evaluated the included references to ensure key articles were not inadvertently missed. To explore publication bias, we reviewed meeting abstracts from 2009 and 2010: American Thoracic Society, American Academy of Allergy, Asthma and Immunology, and the Society of General Internal Medicine, for studies that may not have yet been published or were not published due to negative findings. Inclusion criteria were: 1) adult population (age 18 or older); 2) intervention studies with greater than 50 % minority participants or with a subset analysis of minority patients by race/ethnicity were included; and 3) intervention studies affiliated with a health care delivery setting (i.e., outpatient clinic, ED, hospital). We limited our search to adult populations because the Finding Answers program has previously published on interventions to address disparities for care of minority children with asthma.12 While community interventions are an important part of an overall disparities reduction strategy, the current paper focuses on interventions that occur in or have a sustained linkage to a health care delivery setting. Only studies that took place in the United States and published in English language were included. All study designs were included. Following the initial searches, duplicates were eliminated and a title and abstract review was performed whereby each article was independently reviewed for exclusion by two co-authors (authors VGP, VMA, AAP, WDC, AAP). Articles were excluded based on title and abstract review if the article focused on a topic other than asthma, did not include adult patients, was not an intervention-based study, did not have a focus on, or inclusion of, minority patients, or did not have an affiliation with a health care delivery setting. For any titles or abstracts that were unclear, the authors erred on the side of including for full article review. This title/abstract review was followed by an article extraction review. To ensure reviewers were consistent across article extraction, all reviewers participated in a training process. Two articles were then selected at random and were reviewed by all reviewers to ensure the training was successful and definitions were being applied appropriately. All discrepancies were resolved by consensus. Following this training, all articles were extracted onto a uniform extraction form first by one author (AAP, WDC, ATP, or VGP), with all articles then undergoing a second independent extraction by a different author for verification (VMA, VGP, or MHP); a weighted k was calculated to determine inter-rater agreement. The standardized extraction form focused on identifying the following elements for each study: intervention type (education-based or system-level), study design (RCT, Pre/Post, Cohort, Case control), study population (White, African American, Latino/a, Asian, American Indian, other), setting (community [if linked to a health care delivery setting], outpatient, inpatient), the studies’ outcome measures, the assigned study quality score (DB score). Authors examined heterogeneity of studies qualitatively through comparing study population, study design, intervention characteristics (setting, target), and outcomes.13 Then the studies were broken down into education-based or systems-level interventions. The education-based studies were identified as culturally tailored education (CTE) if either the authors of the study being reviewed self-defined their intervention as culturally tailored, or our review of the intervention indicated that it had at least one foci of cultural tailoring (language appropriate education or use of focus groups for the target population in the development of the intervention). A structured data abstraction form in Microsoft Access facilitated collection of these data elements. Any articles not meeting inclusion criteria were excluded. Added to the final included studies were those meeting inclusion criteria found from reference mining, meeting review and expert opinion. From 1637 studies, 24 were eligible for review (Figure 1). Excluded studies did not study asthma (n = 821), were not intervention-based (n = 526), not an adult population (n = 119), not US-based (n = 83), did not have sufficient minority population (n = 22), were pharmacologic-based (n = 16), duplicates (n = 14) or were not affiliated with a health care setting (n = 12). Meeting abstracts were reviewed (n = 1219); three met inclusion criteria, none resulted in mansucripts.19, 20, 21 Ultimately, 15 educational22, 23, 24, 25, 26, 27, 28, 29, 30, 31, 32, 33, 34, 35, 36 and 9 system-level studies were included.37, 38, 39, 40, 41, 42, 43, 44, 45 (Table 1) The education-based interventions primarily targeted patients while the system-level interventions targeted providers and/or health systems. African American adults recruited from primary care clinics received 4 group educational sessions led by a community social worker along with 6 home visits by community health workers; education included general asthma information, medication information including controller medication, inhaler technique, and spacer use, and symptom monitoring and avoidance [triggers]. Those in the control group were mailed asthma education materials. A health literacy focused educational program that recruited participants from an internal medicine clinic, church or adult education center, who were provided an educational video to promote self-care concepts including basic asthma information, avoiding triggers, medication education and self-monitoring of control, via laptop. Pharmacists or pharmacy students provided oral and written education in the participants’ primary language, using in-person, group sessions that included videotapes and written information on pathophysiology, triggers, therapies, inhaler technique, and use of PFMls. Patients were seen by a specialist (pulmonologist or allergist) and were provided care and education first by the physician followed by a review with a trained asthma educator using lung models to teach about airway inflammation, controller therapy, inhaler technique and trigger control; booklets at the 3rd grade reading level were provided in English or Spanish; intervention group compared to matched controls. Telephone disease management (6–7 calls) [DM] that provided individualized education and an action plan by trained respiratory nurses; and [ADM] –that also included telephone plus 4 home visits from respiratory therapists who provided hands-on equipment instruction and a home-environment evaluation; compared to traditional care. Inpatient education by an asthma nurse educator on disease information, medication information, inhaler technique, symptom monitoring and an action plan, bedside spirometry; a phone call 24 hours after discharge to answer questions on discharge instructions, medication and asthma symptoms; follow-up in an asthma program in 1 week post discharge for spirometry, physician visit and asthma nurse education to reinforce the hospital-based education; controls were given usual care. Multi-faceted educational program including review of regimen, a daily ‘asthma care’ flow sheet, education tailored to patient provided by asthma nurse specialist, psychosocial support, individualized self-management plan, discharge planning and outpatient follow-up with phone contact, home visits and physician follow-up appointments as needed. A nurse-run asthma education program that provided 3 1-hour individual educational sessions on asthma self-management utilizing a previously validated workbook and a video on MDI technique and PFM; control group received usual care. Teach-to-Goal strategy provided by research staff using cycles of assessment and demonstration to instruct hospitalized patients on use of MDI'sy and Diskus® devices. One-on-one, 30 minute, guideline-based, written and oral instructions about asthma discharge regimen and MDI technique provided by research assistants. The intervention group attended 3 small group education sessions in ED by health care professional, on disease, compliance and self-care; those who did not attend received the materials in the mail. Those in the control group did not receive education. 1-hour education session in ED by unspecified educators (presumably research staff) on disease, triggers and self-management with inhaler technique instruction (with spacer); PFMs were provided with demonstration; 1 wk f/u appt at free clinic. The intervention group received usual care plus three in-person educational group sessions over an unspecified time-period, provided by an asthma nurse educator on basic asthma pathophysiology and self-mangement information (1st session); pharmacology and inhelr technique (2nd session); avoidance of triggers (3rd session). Health Disparities Collaborative developed to improve the care of patients with chronic diseases including asthma by disseminating quality improvement techniques developed by the Institute for Healthcare Improvement. Comprehensive long-term management program at a university-based clinic with a1-hour pharmacist provided education on trigger control, PFM use, asthma education and medication; tailored pharmacologic treatmentand emphasis on the partnership between clinic and patient. Participants attended a special asthma clinic that provided group-based education about asthma triggers and proper use of asthma medications, telephone contact with pharmacist and an open-door clinic policy. All patients in one clinic referred to asthma specialist (allergist/immunologist); those who went were “intervention group” and received education on use of inhalers, triggers, PFM use; control group was seen by general practitioner. An intensive treatment program consisting of two 1- hour clinic visits on pathophysicology and self-management strategies, followed by as needed ½ hour follow-up visits provided by physician or nurse practitioner was compared to routine clinic, for patients with multiple prior hospitalizations for asthma exacerbations. A team intervention whereby hospitalized patients who did not have a private physician were evaluated and taught pathophysiology, MDI technique, and spacer and PFM use, by a nurse; housestaff and attending were also taught. The nurse provided one-on-one education and left a detailed note for housestaff team. At discharge, patient was provided a one-week follow-up appointment. A continuous quality improvement project to improve asthma care and outcomes in an inner-city ED implementing asthma treatment guidelines. Patients recruited from ED after 3 hours of therapy then randomized to ED observation unit or control group which received inpatient admission. Study quality ranged from 12 to 26, with a mean of 21.0. Using a previously published categorization of DB scores,46 16 (67 %) were in the very good range (≥20), 6 (25 %) in the good range (15–19), 2 (8 %) in the fair range (10–14), and none (0 %) were rated as poor (<10). The ten randomized clinical trials were the most highly rated (range 16–26, mean 22.1), following by the six pre/post design studies (range 17–24, mean 21.7), the two case-control studies (range 19–21, mean 20), and the six cohort studies (range 12–23, mean 18). The majority of studies included participants from several race/ethnicity populations; studies focusing on African Americans predominated. Five studies focused entirely on one race/ethnicity; four on African Americans; one on Asian Americans. There were an additional ten studies where the majority of participants were African American, and four where the majority were Latinos. The majority of the interventions were education-based (n = 15);five were culturally tailored; three defined by the studies’ authors22,23,25 and two by our review.24,26 None of the CTE studies included a comparison group. Three focused on the African American population,22, 23, 24 one on the Latino community,25 and one used language-appropriate education for different Asian populations.26 Four CTE interventions demonstrated improved outcomes.23, 24, 25, 26 The remaining ten educational interventions were not specifically culturally tailored, but did include a majority of non-white participants; most included a majority of African American participants, though one included a majority of Latino/a participants. Of these ten interventions, all but one took place at least partially in the hospital setting,29 in contrast to the CTE interventions that were primarily outpatient-based. The most common outcome measured among the 24 studies was health care utilization (16/24, 67 %). There was not, however, a unifying item that could be compared across studies, as the specific utilization component(s) differed among the studies. Of the seven studies that followed hospital admissions, all but two29,35 demonstrated absolute25,31,36 or relative30,32 reductions (41–88 %). All but Tatis’ asthma educator strategy25 showed reductions of ≥50 %, including the three inpatient interventions,30, 31, 32 and Kelso’s one-hour ED-based intervention.36 The three studies that followed outpatient visits included Odegard’s language-appropriate pharmacist-based, Galbreath’s telephone, and Castro’s nurse-specialist inpatient, education.26,29,32 However, only Odegard’s showed a significant absolute decrease (78 %) in visits.26 Finally, only two inpatient-based education interventions, both provided by asthma nurses, followed LOS.30,32 The results were split: Castro found 59 % relative fewer days for the intervention group compared to the control group,32 while George did not find a relative decrease in LOS.30 Because only one CTE study evaluated ED visits,25 hospital admissions,25 and outpatient visits,26 and none evaluated LOS, conclusions based on the effectiveness of CTE on reducing utilization cannot be made from this data. The next most commonly measured items fell under the topics of symptom control/asthma severity (8/24; 33 %) and self-management tools (6/24; 24 %). However, as with the general topic of ‘health care utilization,’ these topic areas were also diverse and varied. For instance, with respect to asthma control, some studies specifically measured the frequency of day/night symptoms, while others used symptom scales, limited activity days, etc. Similarly, with respect to measuring self-management, these ranged from the use of spacers or peak-flow meters PFM], to action plans, to respiratory inhaler technique. Of the five education-based studies that followed symptoms,24,26,28,29,35 only two found improvements.26,35 Odegard’s language-appropriate pharmacist-based education demonstrated a 73 % absolute reduction in asthma attacks and a 79 % absolute reduction in nocturnal symptoms.26 Bolton’s asthma nurse inpatient education demonstrated a 30 % relative decrease in number of days of limited activity (intervention group vs. control group).35 The three studies that did not find a reduction in symptoms included Martin’s social-work led group educational sessions with community health workers home visits,24 Galbreath’s telephone +/- RT home visits,29 and Ford’s multi-session ED-based intervention.28 The results for self-management (5/15) were more favorable;24,26,27,31,33 all but one24 found improvements in participants’ self-management skills. Two pharmacist-based education interventions26,31 showed absolute improvement of chambers (34 %),26 PFMs (41 %),26 and/or medication refills (41 %).31 Similarly, two inpatient interventions that used repeated rounds of inhaler technique instruction demonstrated 100 % mastery after two or three rounds.27,33 The only study that did not demonstrate improvements in self-management was Martin’s community-based intervention.24 Again, few CTE studies evaluated symptoms and self-management;24,26 therefore conclusions based on the effectiveness of cultural tailoring on improving patient self-care or symptoms cannot be made. Of the five education-based studies that measured QOL, all but one25 looked at A-QOL.22,24,25,29,32 All but one demonstrated a relative32or absolute24,29 improvement in QOL of 12–33 % (scores of 0.5 to 1.32) post-intervention. Blixen’s inpatient asthma-nurse education did not find a relative improvement in A-QOL.22 Tatis’ was the only study25to evaluate improvement in overall QOL scores and found a 20 % absolute improvement for those completing the four rounds of questionnaires. Three CTE studies evaluated QOL (2 A-QOL, 1 QOL);22,24,25 there is not enough data to make any conclusive role on cultural tailoring and improvements in QOL. Four system-based studies evaluated QOL,37,40,41,44 one of which also studied A-QOL.44 Hicks and Landon both studied health disparities collaborative.40,41 While Landon demonstrated a 25 % absolute improvement in his overall quality improvement score,41 Hicks did not find significant absolute improvement in QOL.40 Kelso’s comprehensive community clinic and Rydman’s ED-based observation unit showed absolute and relative improvements, respectively, of 14–98 % in the majority of SF-36 domains they studied (6/8 and 5/8, respectively).37,44 Neither study found significant results for the bodily pain domain. Kelso also evaluated A-QOL using the asthma bother profile and found that 12/15 domains decreased significantly by 23 to 42 %. This review demonstrates that, first and foremost, a surprising dearth of intervention studies exist that address the health disparities of racial and/or ethnic minority adults with asthma in the US. Since these disparities overwhelmingly affect African Americans and Puerto Ricans, it is not surprising that the majority of studies focused on these two populations. Unfortunately, few studies utilized adequate control groups, limiting our ability to endorse interventions that would specifically address racial disparities for patients with asthma. However, our review still provides guidance for clinicians and health care systems about what modalities have been tried and successfully implemented. 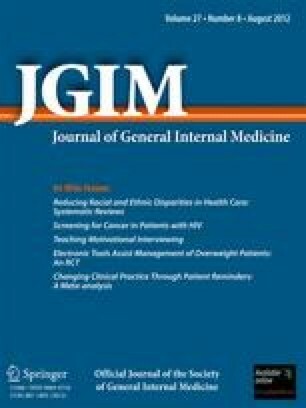 For instance, we are unable to determine which educational intervention is most likely to reduce disparities for minority patients with asthma, but we can report that a variety of educational modalities appeared effective at improving outcomes for minority patients with asthma, including point-of-care education by health-care professionals (e.g., pharmacists, asthma nurses) or technological approaches (e.g., videos). Further, although our review is unable to definitively conclude CTE interventions are superior due to limitations in study design, despite prior documented success with CTE interventions,47 it is still noteworthy that education that included language-appropriate materials (e.g., Spanish, Chinese, health literacy focus) for the patient seemed to play an important role in the majority of the CTE interventions. When looking at specific outcomes, group-based education appeared less-successful in reducing health care utilization, as 1/3 found non-significant reductions in ED visits and 2/3 in admissions. Neither symptoms nor knowledge improved across most of the education-based studies; there was no unifying theme that directs the success or lack thereof. Self-management was often improved when education was provided by pharmacists (~40 %) and/or was inpatient skill-based education (100 % mastery). Studies that measured Asthma-related QOL found improvements of up to 33 %. Finally, educational strategies that began in the hospital but continued with outpatient follow-up demonstrated some of the more promising findings with greater than 50 % reductions in health care utilization.22 Clinicians should recognize that reproducible educational programs that target health-disparities for sub-populations of the US need to be further developed and implemented and the role of cultural tailoring should be further explored. We found that specialty clinics, especially for “high risk” patients, consistently demonstrated decreased utilization and improved symptoms, self-management, knowledge and QOL. Similarly, inpatient-based interventions were nearly uniformly successful across the various outcomes studied. However, despite the promising nature of health disparities collaboratives, results to date have not shown expected improved outcomes. Therefore, efforts to further evaluate and possibly combine the most successful strategies should be explored. There are several limitations of this review. Although we reviewed recent abstracts from key scientific meetings in the field of asthma and allergy, publication bias may limit our findings. Also, the interpretation of results may be affected due to the high proportion of data from the studies being at high risk of bias.16 Further, community-based studies without a health center affiliation were excluded. Future reviews may seek to understand how they may improve outcomes for patients with asthma. Finally, we were unable to perform a meta-analysis limiting the quantitative evaluation of this review. Overall, education delivered by healthcare professionals (nurses, pharmacists, community health workers or even technology) appeared effective in improving processes and outcomes for minority patients with asthma. Because few studies were culturally tailored and lacked adequate control groups, it is currently unclear whether this is a superior approach for reducing health disparities. System redesign showed great promise, particularly the use of team-based specialty clinics and long-term follow up after acute care visits. High-priority future areas of research should evaluate the role of tailoring educational strategies, focus on patient-centered education, and incorporate outpatient follow-up and/or a team-based approach. This work has been presented at the 2011 University of Illinois at Chicago 3rd annual Minority Health in the Midwest Conference, the 2011 University of Chicago Pediatrics’ Resident Research Day, and the 2011 Society of General Internal Medicine Meeting. We would like to thank Dr. Jerry Krishnan, MD, PhD, Professor of Medicine and Public Health, Director of Population Health Sciences, Associate Vice President, Office of the Vice President for Health Affairs, University of Illinois at Chicago, for providing an expert review of the included references for this systematic review. We would also like to thank Deb Werner for the expertise she provided in developing our literature search. We also would like to thank Kathy Fletcher, Darcy Reed and Jack Litrell for their expertise in performing systematic reviews. Finally, we would like to thank Morgen Alexander-Young for her assistance early in the project and Nicole Babuskow for her assistance with the project. Support for this publication was provided by a grant from the Robert Wood Johnson Foundation’s Finding Answers: Disparities Research for Change Program. The funding source had no role in the design and conduct of the study; collection, management, analysis, and interpretation of the data; and preparation, review, approval, or decision to submit the manuscript for publication. The authors declare that they do not have any conflicts of interest with this work. Dr. Press reports receiving funding from the National Cancer Institute (KM1CA156717) and the Robert Wood Johnson Foundation’s Finding Answers: Disparities Research for Change Program. None of the other authors have funding to report. Healthy People 2010. What Is Healthy People? Available at: http://www.healthypeople.gov/2010/. Accessed Jan 19, 2011. American Lung Association Fact Sheet. Available at: http://www.lungusa.org/lung-disease/asthma/resources/facts-and-figures/asthma-in-adults.html. Accessed April 29, 2011. CDC National Asthma Control Program Asthma Fast Facts. Available at: http://www.cdc.gov/asthma/pdfs/asthma_fast_facts_statistics.pdf. Accessed January 19, 2011. Akinbami LJ, Moorman JE, Liu X. National Health Statistics Reports: Asthma Prevalence, Health Care Use, and Mortality: United States, 2005-2009; 2011;32. Available at: http://www.cdc.gov/nchs/data/nhsr/nhsr032.pdf. Accessed Jan 19, 2011. Asthma and Allergy Foundation of America: Asthma Facts and Figures. Available at: http://www.aafa.org/display.cfm?id=9&sub=42#_ftnref20. Accessed April 29, 2011. Higgins JPT, Green S, eds. Cochrane handbook for systematic reviews of interventions version 5.0.2 [updated September 2009]. The Cochrane Collaboration, 2009. Available at: www.cochrane-handbook.org. and at: http://www.ohg.cochrane.org/forms/Risk%20of%20bias%20assessment%20tool.pdf . Accessed May 24, 2010. Simon S. What is a Kappa coefficient? (Cohen's Kappa). Available at: http://www.childrensmercy.org/stats/definitions/kappa.htm. Accessed June 24, 2011.